Chainguide ENDURO Series provide a chain retension solution for your 2x drive chain system. -Integrated bashguard connects with 4mm full machined 6061 T6 aluminum backplate to optimize shock absorb. -Full machined alloy hardware(roller module and bashguard fixing bolts). 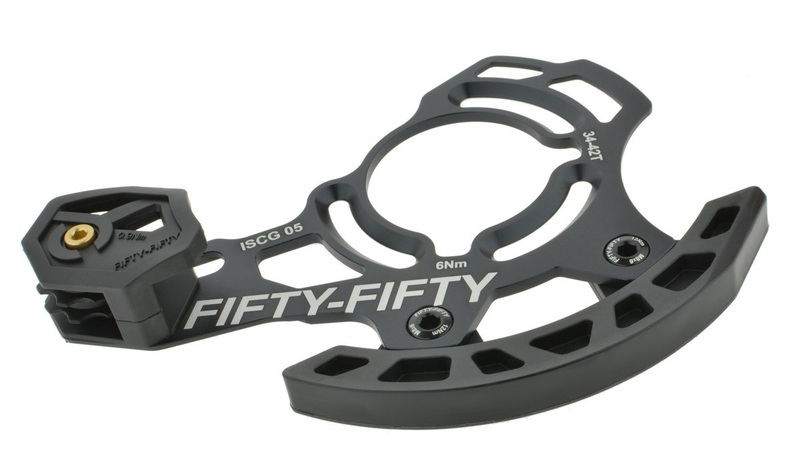 -Adjustable roller module bases on your chainring range. -Easy install with M6*10,12,16 bolts and chainline adjusted by 1mm spacers.